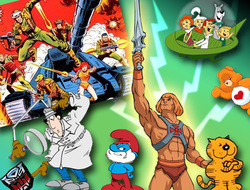 The One and Only Saturday Morning Cartoons Event returns! Join us for an exclusive scene-study event with some of the biggest names in the animation industry! Voice actors, Fred Tatasciore, Mary Elizabeth McGlynn, & Diedrich Bader make an unprecedented, in-studio appearance to perform scenes with participants in a simulated animation VO session. These three will not only perform alongside participants, but will also offer insights, direction and feedback from their experience as working professionals. Rather than just a showcase event, Saturday Morning Cartoons is a Masters Class in Animation techniques from qualified, working professionals. 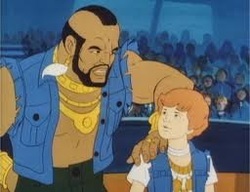 What is Saturday Morning Cartoons? Get unprecedented access to some of the industry's top working voice actors as you perform alongside them on real animation scripts and scenes. Don't miss this unique opportunity to see these skilled professionals do what they do best while playing alongside them. The pace will be fast and furious and participants will get plenty of booth time with the pros. Also, participants will be treated to a catered lunch featuring a candid Q&A with Fred, Diedrich & Mary Elizabeth. Class size for this event is limited to 10 participants and teacher approval is required to attend. Book now, as this event will sell out! 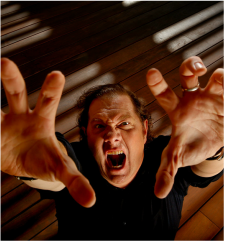 Fred Tatasciore has a VO resume the length of your arm and has voiced hundreds if not thousands of characters for Animation, TV, gaming and Film. His work spans multiple genres and styles including: Hulk and the Agents of S.M.A.S.H., Teenage Mutant Ninja Turtles, Hotel Transylvania 2, Kung Fu Panda 2, Kung Fu Panda 3, The Cleveland Show, Wolverine and the X-Men, 9, Batman: the Brave and the Bold, The Penguins of Madagascar, Kung Fu Panda: Legends of Awesomeness, Disney’s Tangled, The Family Guy, Star Wars: the Clone Wars and more. 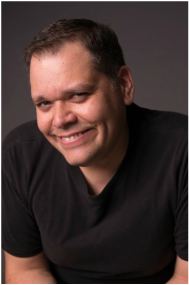 One of the hardest working talents in show business, Fred can also be heard on innumerable video games and interactive projects including: Mighty Number 9, Battlefield Hardline, Project S.T.E.A.M., God of War, Star Wars: The Force Unleashed II, Mass Effect 2 & 3, Assassins Creed 2 and others. See what Fred is up to next on his IMDB page here. Diedrich Bader is no novice to performing, having created successful career in Television, Feature Films and in voice over. Some of his career highlights include The Beverly Hillbillies feature film, Office Space, The Drew Carey Show, Whose Line is it anyway?, Napoleon Dynamite, Veep, and many more. Behind the microphone, Bader has given voice to iconic Characters in shows like Batman, The Brave and The Bold, Turbo F.A.S.T., Justice League Action, Kung Fu Panda: Legends of Awesomeness, Miles from Tomorrowland, BoJack Horseman, Marvel's Guardians of the Galaxy (series), Phineas and Ferb, Teenage Mutant Ninja Turtles, Super Pets, Ben 10 and countless others. But beside that, he is one of the kindest and most gracious men in the business. To dive deep on Diedrich's Resume, check out his IMDB page here. You may know him as Po, The Panda on the Emmy® award-winning Kung Fu Panda: Legends of Awesomeness, but that is just the tip of the iceberg for Mick Wingert. He first made a splash as 'Po" in 2008 as in Dreamwork's Annie-award-winning Kung Fu Panda video game. Since then he has worked as a voice actor in television and films such as, Teenage Mutant Ninja Turtles: Mutants in Manhattan, The Fairly Odd Parents, Marvel Superheroes Frost Fight, Lego Marvel Avengers Reassembled, Batman: Assault on Arkham, Sofia the First, Breadwinners, Tinkerbell and the Pirate Fairy, T.U.F.F. Puppy, The Princess and the Frog, Batman: Year one, The Avengers: Earth's Mightiest Heroes, Bones, Jonah Hex: Two Gun Mojo, and more. Mick can also be heard in video games [Dead Island 2, Mass Effect 2, FATE, World series of Poker] as well as in hundreds of radio commercials in Southern California and on television commercials across the country. 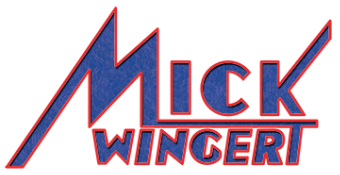 Mick Wingert is also a much-lauded voice over coach and teacher, training some of today's brightest voice actors in their career goals.